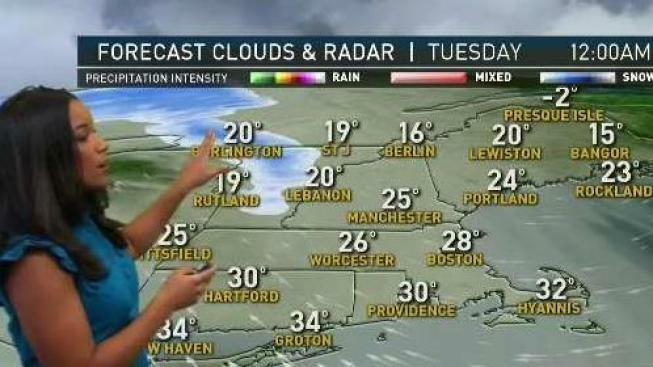 Sunday: Partly cloudy, flurry. Breezy. Highs in the 30s and 40s. Sunday Night: Mostly clear. Lows in the teens and 20s. Monday: Chilly. Slowly increasing clouds. Highs around 30. Today will be the pick of the weekend. 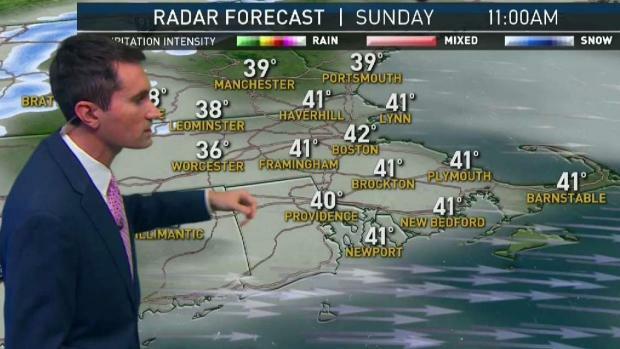 Skies will be sunny with temperatures in the mid-40s. Cold air returns Sunday night and we will see the coldest air mass of the season (so far) move it. Temperatures will start off in the 0s and 10s Monday morning. Clouds increase throughout the day on Monday ahead of our next system. High temperatures on Monday will stay below freezing. Monday night, light snow will develop. Snow will quickly change to rain along the coast by Tuesday morning. Interior parts of New England will continue to see wintry precipitation. It’s too early to discuss exact accumulations, but a plow-able/shovel-able snow is possible. Rain and snow showers will continue into the day on Wednesday. Thursday we dry out and turn colder. Temperatures will end the week around the freezing mark. Some of the forecast models are hinting at a pattern change. The next storm system could be a bit more interesting by next weekend or early the following week. Stay tuned!